Google Translate added a few years ago a "select all" button that automatically selected the translation, so you could easily copy the text and paste it in an email message, a document or somewhere else. In Chrome, the "select all" has been replaced with a new "copy" button that selects the entire translation and copies the text to the clipboard. The nice thing is that this feature uses HTML5, not Flash. Unfortunately, the new feature is only available in Chrome and all the other browsers still get the old "select all" button. You can still click the star button to save a translation to the phrasebook or copy the URL generated by Google Translate, which includes the original text. 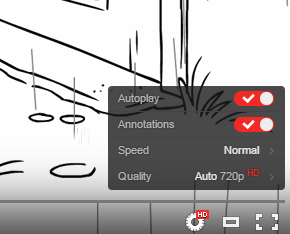 To make it more obvious that a certain option is enabled, YouTube player's settings menu changes the color of the menu item to red. For example, if annotations are enabled, the "annotations" menu item is red. Mouse over a red setting and it temporarily becomes black. Disable the setting and it switches to black. Previously, only the radio box was red and I think it looked better. Google lets you switch between its specialized search engines and check image results, video results, news articles, books, Google Maps results and more. The active tab was red, but now it switched to blue. 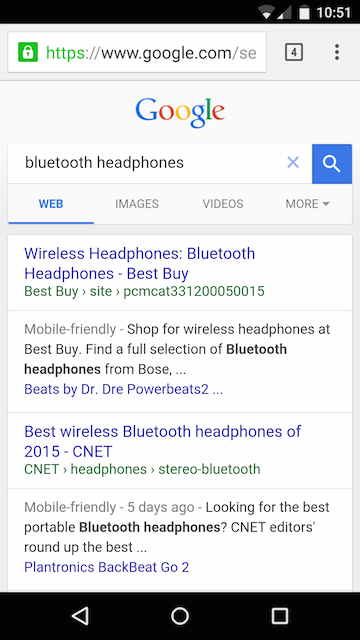 Back in June, I posted about a Google Mobile Search experiment that tested an oversized header and the active tab's color was blue. The more you think about it, the more you realize that Google's next acquisition could be Twitter. Why not buy Twitter, now that Google+ is an also-ran and Facebook is more powerful than ever? After integrating Twitter with Google Search, now Google launches Help on Social, "a new way to ask and answer Google questions on Twitter". 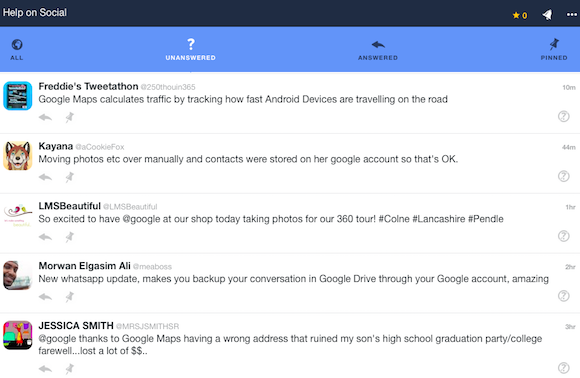 Help on Social is powered by Conversocial and brings together Google product questions from across Twitter so you can ask questions or help others. You can add #gHelp to your question to make sure that it's spotted by Help on Social, but the site shows Google-related tweets even if they don't use the hashtag. If you want to answer questions in Help on Social, you need to create a profile, connect your Twitter account and select the Google products that interest you. You can then find tabs with answered, unanswered and pinned questions. 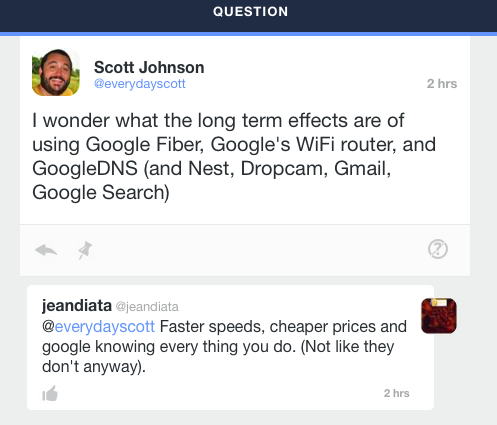 Why would you answer questions about Google? You can win points and become a Top Contributor. Google is all about the Web: it develops the most popular browser and mobile operating system, it has a public DNS service, it provides broadband Internet (Google Fiber) and wireless service (Project Fi). So why not build a router to improve your Internet connection and make your router as smart and easy to use as your smartphone? 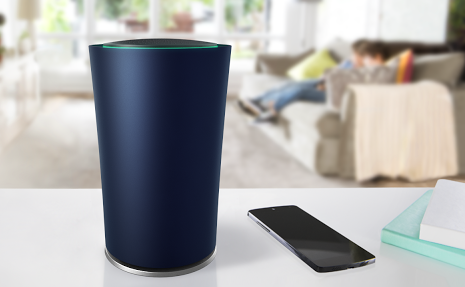 Google partnered with TP-LINK to build OnHub (TGR1900), a next-generation router for the Internet of Things. It's not the fastest router (AC 1900 Mbps), it's not the most expensive router ($199.99) and it's not the best router for power users. Instead, Google focused on providing the best experience for regular users, much like Apple and its AirPort devices. "We replaced unruly cords and blinking lights with internal antennas and subtle, useful lighting, so you'll be happy placing OnHub out in the open, where your router performs its best. A unique antenna design and smart software keep working in the background, automatically adjusting OnHub to avoid interference and keep your network at peak performance. You can even prioritize a device, so that your most important activity — like streaming your favorite show — gets the fastest speed," mentions Google. OnHub is designed for Internet of Things and it supports Bluetooth Smart Ready, Weave (Nest protocol for the Internet of Things), IEEE 802.15.4 (a standard that focuses on low-speed connections between devices). The router has a dual-core 1.4GHz processor from Qualcomm Atheros (it's based on Snapdragon S4), 4GB of storage, 1GB of RAM, one USB 3.0 port, a 3W speaker, a WAN port and a single LAN port (both are Gigabit ports). You'll need a switch if you want more Ethernet ports. You can pre-order OnHub from Google Store, Amazon and other sites in the US and it will ship in the coming weeks. It will also be available for sale in retail stores in the U.S. and in Canada. Google plans to release a second OnHub device later this year, in partnership with ASUS. Many people will wonder if Google monitors the sites they're visiting. There's a help center article about this, which mentions that Google collects some data about your Internet usage (data speeds, historical network usage, network status, connected devices, network settings) and associates some of them with your Google account, but you can disable this in the settings. Google DNS is used by default, but you can change the DNS settings. So why isn't OnHub a router for power users? It has a single WAN port, it uses mobile apps for setup and changing settings, it's complicated to connect multiple OnHubs because OnHub has a fixed subnet IP address that currently can't be changed. 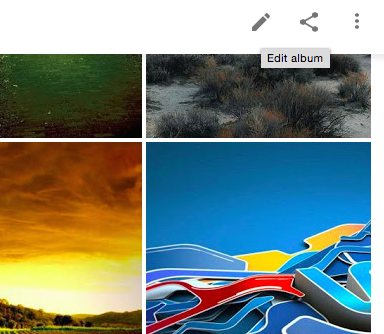 There are many Google+ Photos features that are missing from Google Photos. You can remove a few features from the list: reordering photos in an album, changing the album's cover and editing the timestamp for photos. Just click the new "edit" button when opening an album and reorder photos using drag and drop. You can also add photos from other albums. Open a photo, click the info icon and then click the edit button next to the date and time if you want to change them. Another recently added feature: changing the album cover. Open a photo from an album, click the 3-dot menu icon and select "use as album cover". Now you don't have to open Gmail or Google+ to use Google Hangouts: just go to hangouts.google.com in your favorite desktop browser and check the new standalone web app for Google Hangouts. The site redirects to talkgadget.google.com, so you can use this URL too. 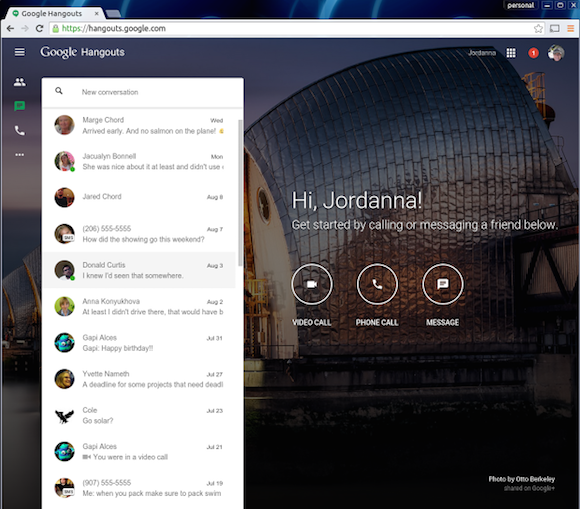 "We are launching another way to use Hangouts today. From our new site you'll be able to take advantage of the best of Hangouts in the browser, along with an inspiring image to get you through the day," says Google's Jordanna Chord. It's actually a slightly different interface for the Hangouts feature from Gmail, except that Gmail has been replaced with a wallpaper you can't change, the Hangouts roaster is bigger and there's a navigation menu. 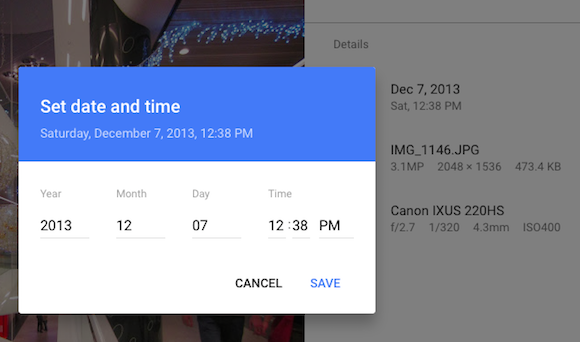 In 2013 Google added a cool feature that allowed you to find your photos directly from Google Search. You could search for [my photos], [my photos of beaches], [my photos from New York], [my photos from 2011] and many other similar queries. 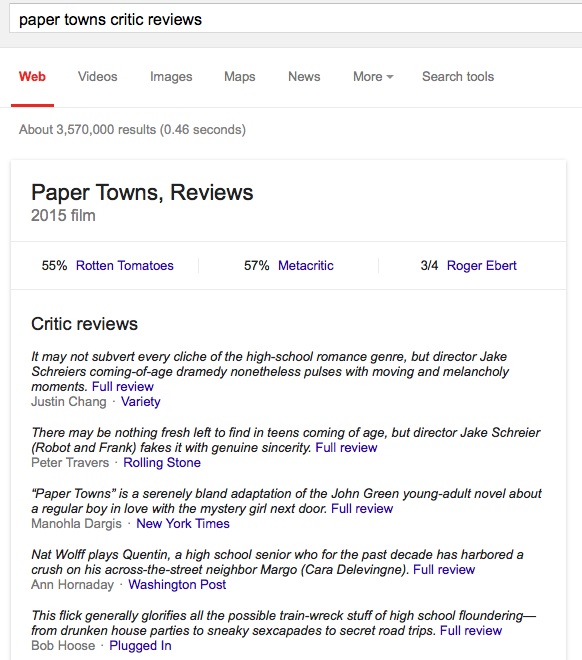 At that time, Google displayed small thumbnails for some of the search results. 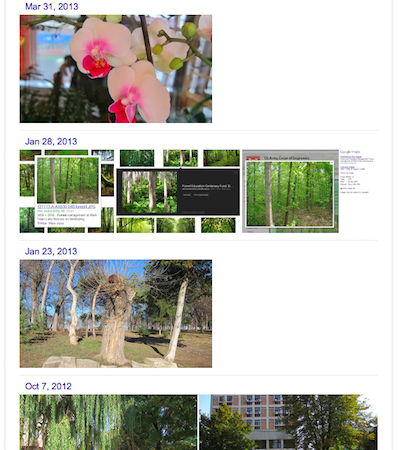 It looks like Google has updated the photos card and now shows a lot more photos, bigger thumbnails and it also includes some information about the photos (date, location). For some of my queries, Google displayed more than 100 results. 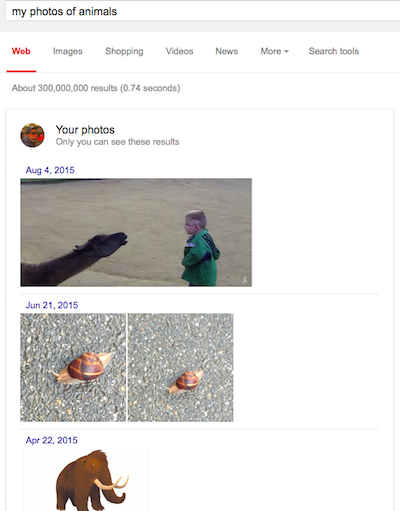 Google shows the search results from Google+ Photos and individual links send you to the Google+ Photos pages, but the link below the search results is for Google Photos. For some searches, Google Photos returns fewer results, since it doesn't include images from Blogger and photo spheres. If you're not signed in, but you search Google for information from other Google products, you'll now see a special card that suggests to sign in. 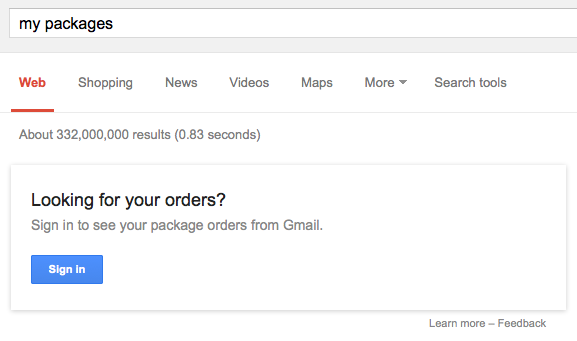 For example, if you search for [my packages], Google shows this message: "Looking for your orders? Sign in to see your package orders from Gmail." When you search for [my photos], you'll get a similar message: "Looking for your photos? Sign in to see photos from your account." Other queries that trigger the "sign in" card: [my events], [my agenda], [my calendar], [my mail], [my files], [my drive], [my documents], [my spreadsheet], [my presentations], [my bills], [my reservations], [my hotel reservations], [my restaurant reservations], [track my package], [my flights], [my tickets]. While Google and Android OEMs still have issues with releasing timely updates that fix bugs and add new features, there's something they got right: adding built-in apps to the Play Store and updating them independently, without requiring OS updates. 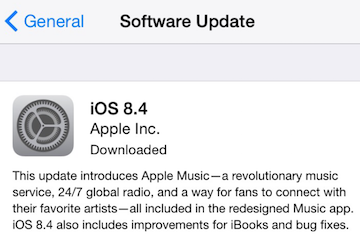 Apple has released iOS 8.4 back in June and the main changes were a redesigned Music app with Apple Music support and some new iBooks features. Google would have simply updated Play Music and Play Books and all Android users would have gotten the new features without manually installing a new Android version. The only way for Apple to add new features to Safari, Apple Maps, App Store, the music app, the calendar app, the mail app, iBooks and all the other built-in apps is to update the operating system. That's an outdated model and it's pretty inefficient. Everytime you hear about a new release for Google's Android apps (Chrome, Play Store, Play Music, Play Books, Gmail, Google Drive, YouTube and more), that could be a new Android version. Some Android OEMs like Motorola, Sony and HTC moved core apps to the Play Store to update them faster. It's worth pointing out that iOS updates include many security updates and other bug fixes. Right now, these updates can't be installed without an operating system update in Android, but that may change in the future. Google promised to release monthly security patches for Nexus devices, while Samsung and LG will also update their devices monthly. Android's OEMs update their devices faster then a few years ago, but the process is still slow because of the carriers, custom user interfaces like TouchWiz and the number of devices released every year. 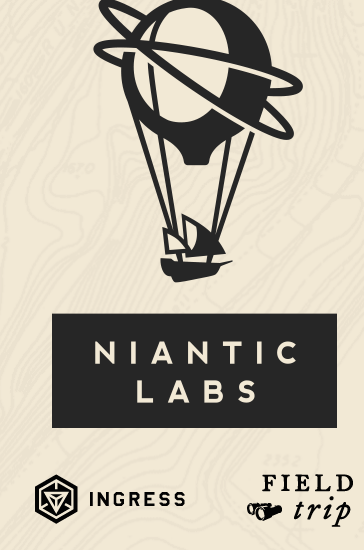 Niantic Labs was a startup inside Google that developed the popular game Ingress and the Field Trip app. Niantic announced that it will become an independent company and Google will transfer Ingress user data to Niantic Inc.
"We'll be taking our unique blend of exploration and fun to even bigger audiences with some amazing new partners joining Google as collaborators and backers. Niantic will be building on the success of Ingress, which has been downloaded more than 12M times, has attracted more than 250,000 people to live events around the world, and has inspired users to collectively walk the distance from the earth to the sun while playing, exploring and discovering," mentions Niantic. Ingress data will be automatically transferred to the new company starting from September 11. You can opt out using this link, but only until September 10. Niantic Labs was founded by John Hanke, the former CEO of Keyhole. 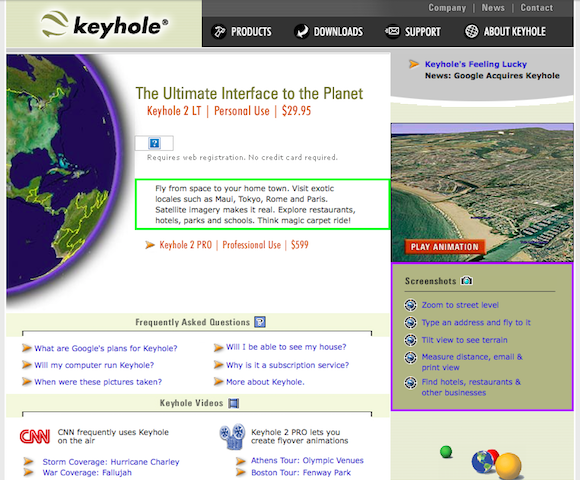 Google acquired Keyhole back in 2004 and changed the name of the software to Google Earth. From 2004 to 2010, John Hanke was Google's Vice President for Geo Products, which included Maps, Earth, Local Search, Transit, Street View, SketchUp. He left his role at Google in 2010 and created Niantic, which was supposed to be a new company, but became a startup inside Google. "Staying at Google gave us the advantage of being able to tap into the data we have in Geo and the infrastructure in Google. There were a lot of advantages to doing that from inside Google with everything we could leverage," mentioned John Hanke in an interesting interview from 2012. 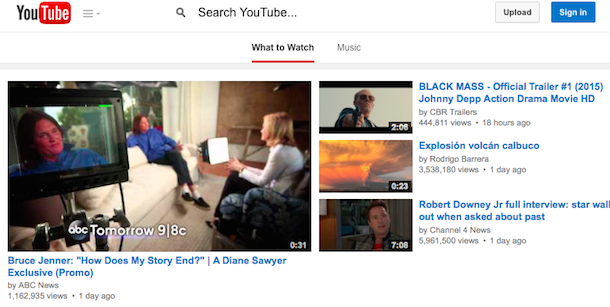 YouTube tests a new search UI for the desktop. 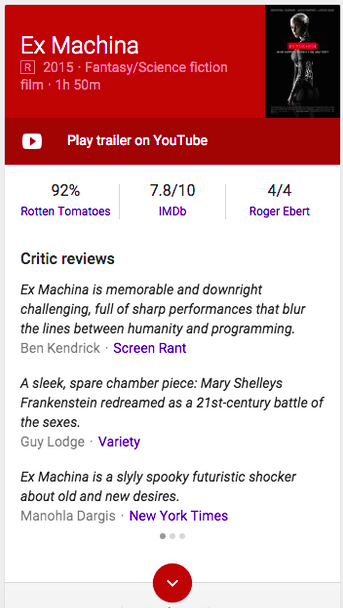 The experimental search box uses a small magnifying glass icon and adds this text: "search YouTube", so that users know it's an actual search box. The new search box is gray and has a special "Enter" icon, just in case you don't like the keyboard key. 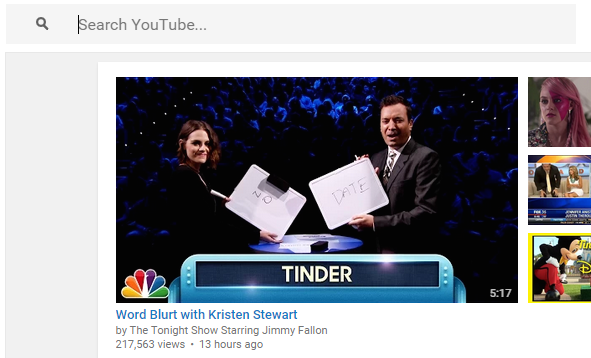 Back in April, YouTube tested a plain white search box. Sometimes you're trying to download a desktop software and you're searching Google for things like [chrome download], [latest java], [install itunes], [get skype]. 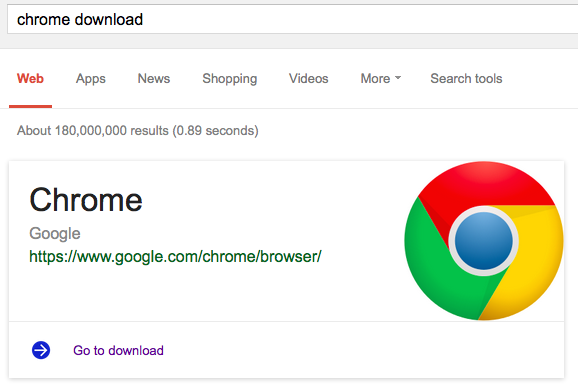 The top result is usually the official download page, but there are various other download sites. Some of them might offer outdated versions, others might install their own software and even download adware or malware. 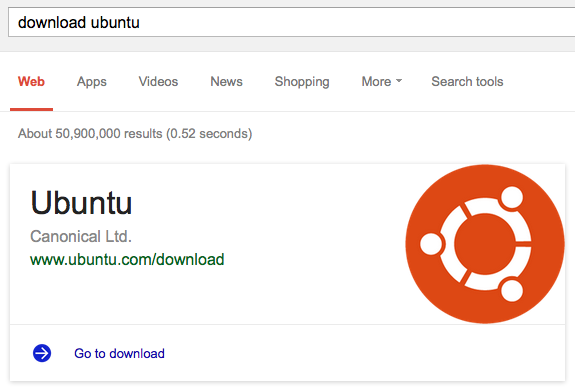 Google now shows a special card for software downloads. There's a big logo, the name of the organization that develops the application, the download URL and a link: "go to download". The new card might seem redundant, but some users will find it reassuring. It also works for operating systems. Just in case you're thinking that Google always picks the URL from the top search result, I found an example which shows that's not the case. 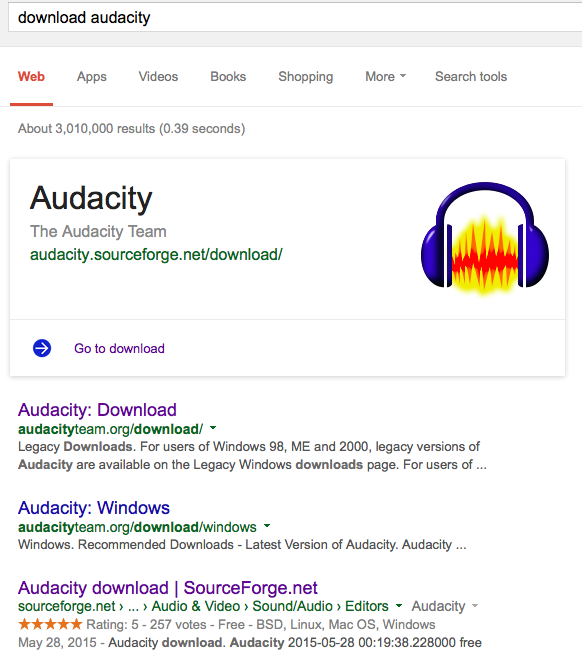 When searching for [download audacity], Google's card links to SourceForge instead of Audacity's official site and that's not a good idea. 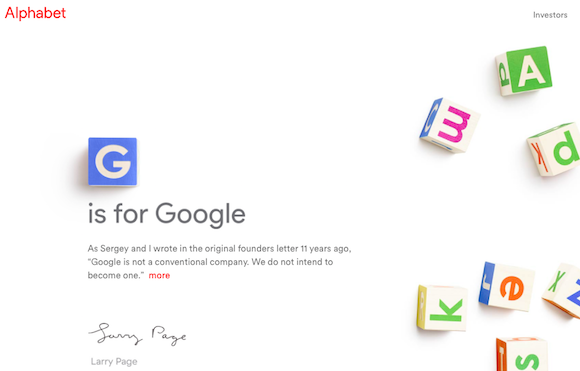 Larry Page announced a Google reorganization: Alphabet Inc is born and Google becomes a subsidiary of Alphabet Inc, just like Nest, Calico, Life Sciences and other Google companies. Larry Page is the CEO of the new company, Sergey Brin is Alphabet's President, while Sundar Pichai is Google's new CEO. "Alphabet is mostly a collection of companies. The largest of which, of course, is Google. This newer Google is a bit slimmed down, with the companies that are pretty far afield of our main Internet products contained in Alphabet instead. (...) Alphabet is about businesses prospering through strong leaders and independence. In general, our model is to have a strong CEO who runs each business, with Sergey and me in service to them as needed. We will rigorously handle capital allocation and work to make sure each business is executing well," mentions Larry Page. 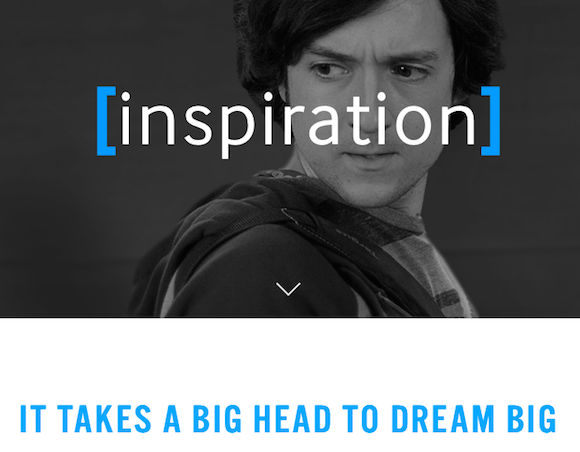 Alphabet's URL is https://abc.xyz and the site includes a hidden reference to http://www.hooli.xyz, a fictional site created for HBO's Silicon Valley TV series. Hooli [XYZ] is Hooli's experimental division that is "focused on using breakthrough technology to achieve radical solutions using breakthrough technology." It's "the dream kitchen, the moonshot factory, the laboratory of possibility, the midwife of magic, the womb of wonders." Alphabet is about taking risks, long-term bets, investing at scale. "We liked the name Alphabet because it means a collection of letters that represent language, one of humanity's most important innovations, and is the core of how we index with Google search! We also like that it means alpha‑bet (Alpha is investment return above benchmark), which we strive for," explains Larry Page. The most interesting consequence is that Alphabet Inc. will replace Google Inc. as the publicly-traded entity and Alphabet's earnings report will show separate data for each company owned by the umbrella holding. Update: abc.wtf redirects to Bing. It looks like Microsoft is trolling Google. The latest version of the Google Keep app for Android lets you export your notes to Google Docs, just like the desktop site. Open a note, tap the menu button and pick "copy to Google Doc". 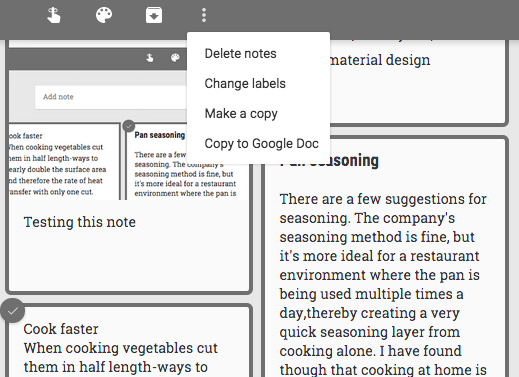 You can also select multiple notes and use the same feature to export your notes to a Google Docs document. If you don't have the latest version of the Google Keep app yet (3.1.313), you can download the APK file from APK Mirror. According to Android Police, "the APK is signed by Google and upgrades your existing app". 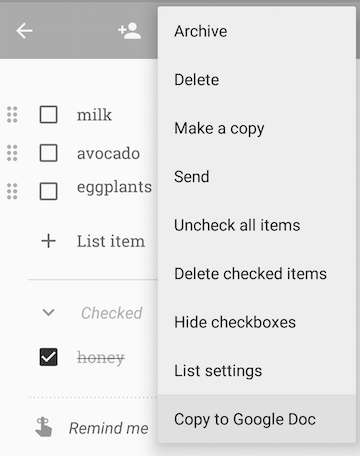 How to export all your notes from Google Keep? I found two ways to do this. One option is to use a feature that converts one or more notes to a Google Docs document. 1. Select all your notes: go to Google Keep and press Ctrl+A (or Cmd-A for Mac). Important: This only selects the notes from the current view, so archived notes aren't included. You can repeat these steps for archived notes or select all your archived notes and unarchive them. 2. Click the 3-dot icon from the top of the page and pick "Copy to Google Doc". 3. Wait a few seconds and you should see a link at the bottom of the page that says: "Open doc". Click that link to open the document that includes all your notes. Another option is to use Google Takeout and export all your notes as HTML files. 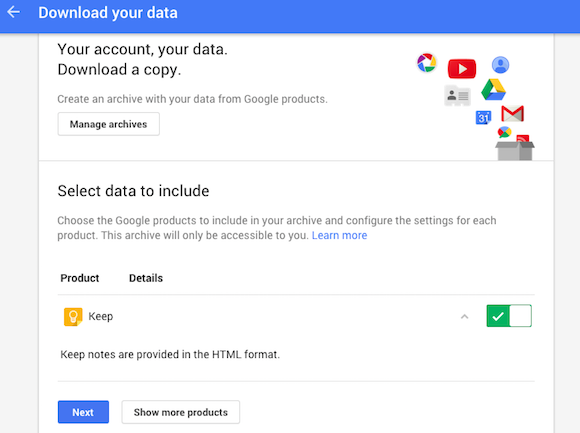 Google Takeout exports all your notes, including archived notes and notes from the Trash. You'll get a ZIP archive with HTML files for each note. The archive may also includes image and audio files. If a note doesn't have a title, the exported HTML file will use the date in the filename. There's something interesting about the latest YouTube player update: it's the first time when YouTube only updates the HTML5 player. Since it's no longer that easy to force YouTube to switch to the Flash player, I've used an old version of Firefox (22.0). YouTube defaulted to the Flash player, the same old player before the recent update. I've switched to the HTML5 player using youtube.com/html5 and YouTube displayed the new player, just like it does in the latest versions of most desktop browsers. It's obvious that the Flash player has been deprecated and it's still used for older browsers and a small percentage of premium videos. If you're using the latest version of Chrome, Firefox, Safari, the HTML5 player is used by default and you can't even switch to the Flash player. For some reason, the system requirements page from YouTube's help center still mentions that you need Adobe Flash Player to watch YouTube videos. 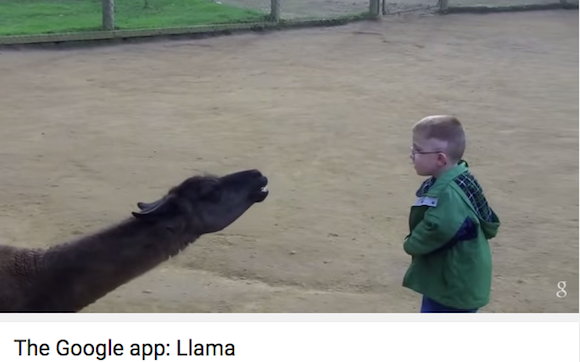 After a few months of testing, the new desktop player for YouTube replaces the old one. 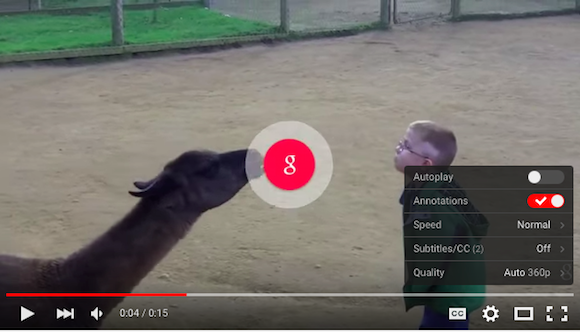 The new HTML5 video player uses a transparent control bar that hides when you're not using it and has new buttons and dropdown menus. "Our new player design has a bit more polish, gets out of the way of your video playback, and scales to any screen or embed size," informs YouTube. The TestTube page no longer lets you switch back to the old player and it only shows this message: "This browser is using the new YouTube player". 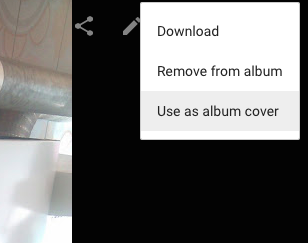 Google Play Music's desktop site has a new feature that lets you delete history. At the bottom of the settings page, there's a new section called "delete recommendation history". According to Google, this "removes the history used to give you recommendations and customize radio. This will not remove ratings and play counts on individual tracks." Google shows a long list of recommended radios and albums and you can manually remove them by clicking "not interested" for each radio and album. After using the new "delete recommendation history" feature, I expected to see that all recommendations are removed and Google will start to show new suggested albums and radios based on the songs you play from now on. Unfortunately, that's not the case: Google still shows similar recommendations. Speaking of historical data, it's surprising that Google Play Music still doesn't have a feature that shows all your recently played songs. It should be an auto playlist, just like "last added" and "thumbs up" and users should be able to export it. 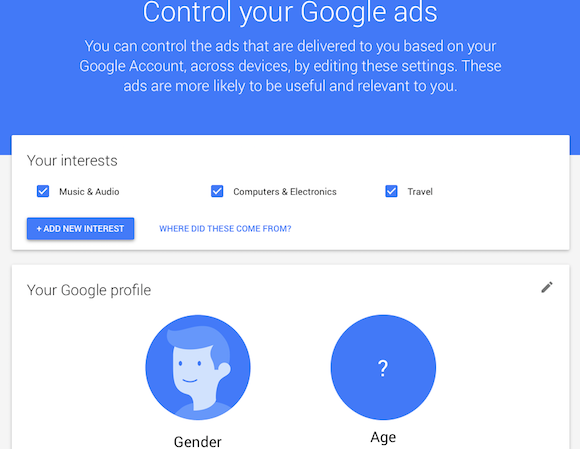 Google has recently updated ad settings pages, which have a new design and more information about your options. You can still disable ads based on your interests from both Google sites and third-party sites. 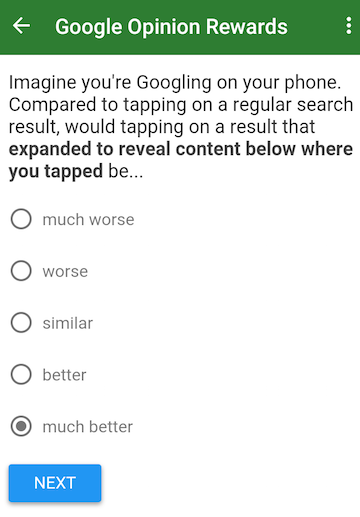 When you do that, you'll still see ads, but they "will not be based on data Google has associated with your Google Account, and so may be less relevant". Until now, Google's ad settings page had 2 sections for interest-based ads on Google sites and non-Google sites. Google changed this: there are now separate pages for signed-in ads and signed-out ads. When you are signed in to a Google account, Google can use data associated with your account: Google search history, YouTube history, Google+ profile, manually added interests and more. 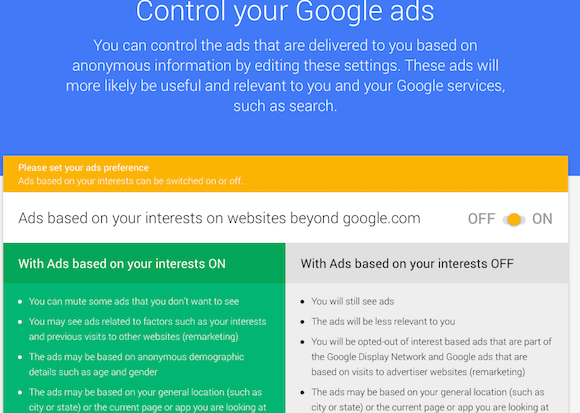 The section for signed-out ads has 2 separate settings for "ads based on your interests on websites beyond google.com" and "Google Search Ads based on your interests". Google uses your previous searches and browsing history to improve search ads, but you can disable this feature. AdSense ads also use your browsing history and anonymous demographic details to improve ads. Signed-out ads rely on cookies tied to anonymous data. "You can control the ads that are delivered to you based on anonymous information by editing these settings. 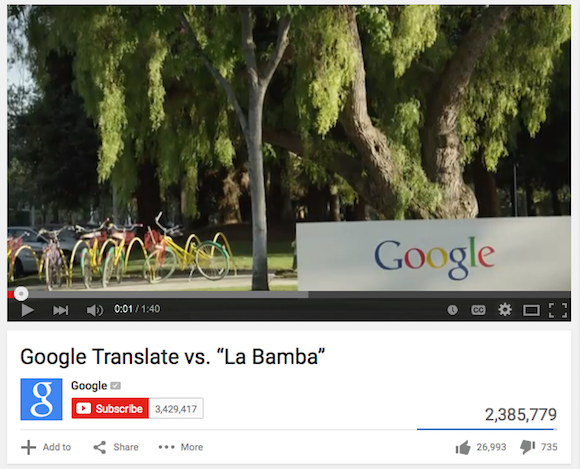 These ads will more likely be useful and relevant to you and your Google services, such as search," informs Google. Google's help center has more information. "To opt out of all of Google’s interest-based ads on your browser, you'll need to opt out in 3 places: once when you're signed in to Google products, once when you're signed out, and once for ads on the Display Network ('websites beyond google.com'). The reason for the different opt-outs is that Google uses different information to target ads, depending on how you're interacting with Google and whether you're signed in with your Google account."